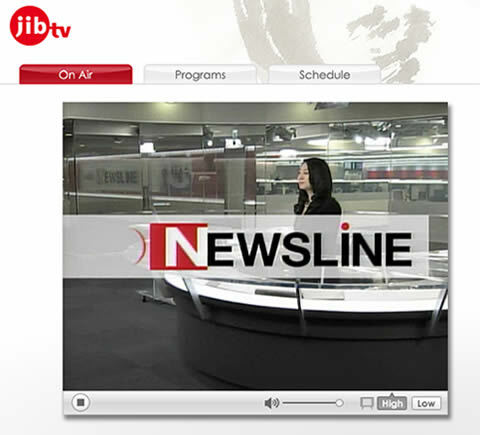 Japan International Broadcasting Incorporated or JIBtv is a recently launched 24 hour online television channel based in Japan. Many of the major television stations in Japan such as Fuji-TV, NHK, TV-Asahi were instrumental in the forming JIBtv and even Microsoft played a role in funding and also the online TV website streams using their Silverlight technology. There is decent variety in the kinds of programs available on JIBtv ranging from international news, documentaries, talk shows and features. Some of the programs that caught my eye are Four Seasons in Japan – a series of documentaries about Japan’s natural beauty, Putins Russia – a series focusing on the former president of Russia and how he has the succeeding administration helped Russia recover form the collapse of the Soviet Union and World Heritage 100 – a series featuring the many World Heritage sites around the world. JIBtv was created to raise the profile of Japan in international society and provide the world with another window into the culture and lifestyle of Japan and it’s people. This online channel is not accessible by persons in Japan and is intended for an international audience. JIBtv joins many other 24 hour online streaming channels mainly based in Europe and Aljazeera from the Middle East (where that Street Food feature on Kingston first aired). It’s still early days to tell whether JIBtv will be a success, so far I like ti and can see myself being distracted by this site every now and again for a peek into Japan and maybe even the Japanese way of thinking. Unfortunately I don’t see any anime airing yet but crossing my fingers that some will air in the near future. I notice a few programs are restricted for copyright reasons” sometimes but maybe it’s just from my location. Check out the site and a program or two and let me know what you think by leaving a comment below. Thanks for the information. Though I want more stupid and educational programs, it’s free. This is wonderful! Everytime I go to JibTV I get this “we are temporarily interrupting this program due to copyright issues.” What’s going on? This keeps up much longer I’m going to throw the link in the trash and never try to find it again. This is just stupid. Thanks for the nice comment on Jib Kun the mascot. It was a fun character to design. As for the copyrights issue for some of the program on JIBtv, it’s only because at the moment most of the programs comes from NHK. Some of those programs have copyrights restrictions. 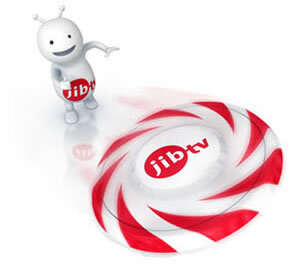 Hopefully, JIBtv will soon start producing their own contents and they’ll be able to broadcast 24h without interruptions. And I agree with, I hope we’ll see soon an animated series! May be one with JIB kun…? Thank you for dropping in and leaving a comment Fred. Hey, just stumbled across this post. Thanks for the info. I hadn’t heard of JIBTV before, but it sounds like a good option for those learning Japanese. It appears I can’t view it from here in Japan though.